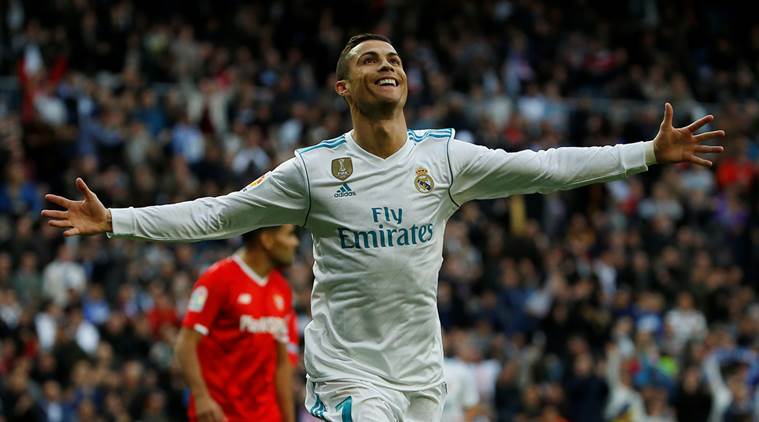 Five-time Ballon d'Or winner, Cristiano Ronaldo is hoping to once again play alongside his fellow attacking partners Karima Benzema and Gareth Bale. The Portuguese striker, who is set to feature in Real Madrid's FIFA Club World Cup semi-final, spoke of his wish of linking up with Bale and Benzema on the field again, as well as explaining the importance of this competition. "It is a very important tournament for us," he said to beIN Sports. "It's obviously a pleasure to play it because you can only do it if you've won the Champions League." The footballer is aiming to lead his side to victory again. "I've had the chance to win the Club World Cup with Real Madrid and also with Manchester United," he continued. "It's a competition that I like a lot. Lastly, the Portuguese opened up on his desire of playing again with Benzema and Bale. "I like that the squad is complete, not only with Karim and Gaz," the forward revealed.